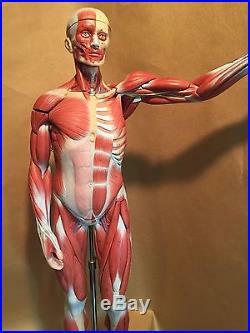 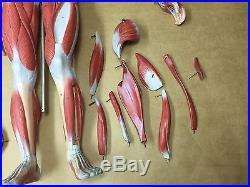 SOMSO about 1/2 natural size anatomical muscle model in very good condition. 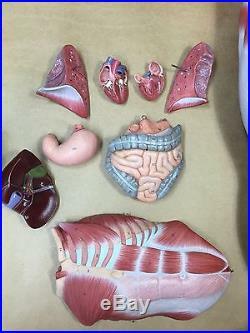 Model separates altogether into 27 parts: cranium, brain (2), thoracic and abdominal wall, halves of the lung (2), heart (2), liver, stomach, duodenum, small and large intestine, right arm, left arm with four removable muscles, muscles of the leg (9), body. 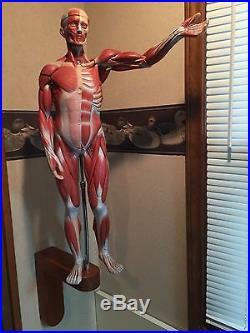 Height approximately 82 cm x width approximately 49 cm. 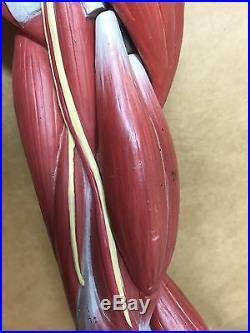 Custom-made solid teak wall mount base, approximately 12 inches deep x 12 inches high x 3 3/8 inches wide with slight wear. 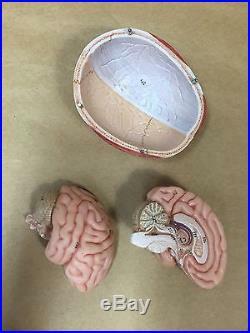 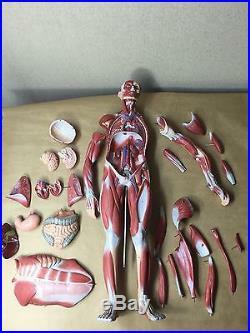 Anatomical parts are numbered, would be great in a teaching setting. 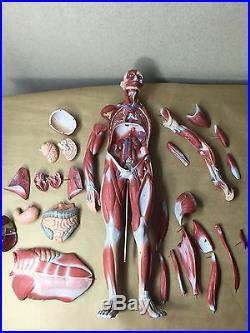 The item "Vintage SOMSO Male Muscle Figure Half Natural Size Anatomical Model 27 Parts" is in sale since Saturday, June 04, 2016. 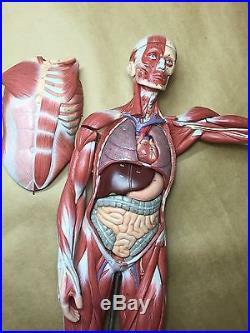 This item is in the category "Business & Industrial\Healthcare, Lab & Life Science\Medical Supplies & Disposables\Teaching & Education Supplies". 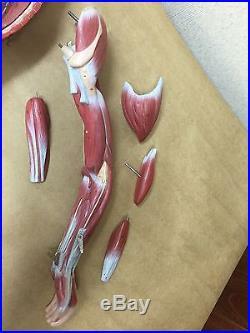 The seller is "natleej" and is located in Bolingbrook, Illinois.